The Federal Government has lost someone they desperately needed to keep. Minister for Women, Jobs, and Industrial Relations Kelly O’Dwyer has announced she will be quitting federal politics at the next election. Ms O’Dwyer cited family reasons for her departure, specifically, her desire to spend more time with her two children and husband. Yesterday, she told the press that if she wants to give herself and her husband “the opportunity, the best opportunity to have a third child, we need to be very realistic… I turn 42 years of age this year”. Ms O’Dwyer has been the member for Higgins for a decade and a member of the Cabinet since 2015. Currently she is the Minister for Women, Jobs and Industrial Relations. Higgins is traditionally considered a very safe blue-ribbon seat; Ms O’Dwyer won the previous election with an 8 percent margin and was marked as a potential future leader of the moderate faction of the Liberals. Her resignation comes as a shock. So why is Ms O’Dwyer resigning now? Well, perhaps her seat isn’t as safe as once thought. Labor’s own polling has them ahead by 4 per cent. Greens candidate Jason Ball has been making in-roads to …. with the progressive part of Higgins, and the battle for this electorate is shaping up to be its most contested yet. Traditionally blue-ribbon seats are no longer safe, as formerly moderate Liberals are increasingly unhappy with the direction their party is taking. We saw this with the loss of Wentworth in the by-election last year and the recent shock loss of Hawthorn in the Victorian state election. Both Wentworth and Hawthorn were considered incredibly safe Liberal seats, only to be won by an independent and Labor respectively. 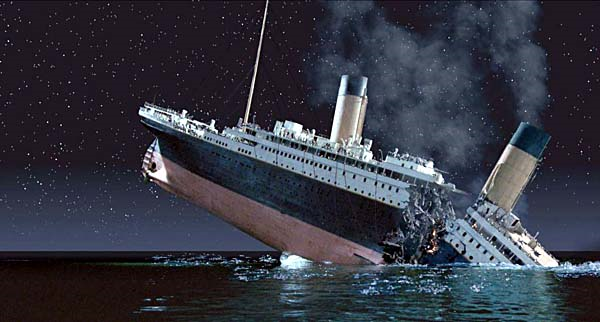 So potentially Ms O’Dwyer is saving face, jumping off before the ship sinks and takes her with it. As the election draws near, the Liberal Party can ill afford to lose a senior MP such as Ms O’Dwyer. With less than a quarter of Government MPs being women, each female resignation hurts even more. Especially considering that with Julia Banks’ earlier resignation and the likely defeat of Sarah Henderson at the next election, the coalition could easily be left with no female MPs in Victoria. A stark contrast to Ms O’Dwyer’s own words that the Liberal Party is the “natural home for women”. This raises another reason for her departure – her party has simply become so toxic it’s untenable to remain. Ms O’Dwyer last year reportedly told colleagues that their party was viewed as “homophobic”, “anti-women” and “climate change deniers”. Her resignation certainly does nothing to dispel those claims. I can’t imagine that Ms O’Dwyer is too worried about the loss of a job. Betting pools are already open for wagering to which country she will be announced ambassador, or at what bank she will become an executive. Ms O’Dwyer was previously an executive at NAB and her husband is a director of UBS investment banking company It can’t hurt her job prospects either that she so ardently tried to derail the Royal Commission into Banking. The person I am worried for is our fearless leader, Scott Morrison. He must see the writing on the wall. The recent polling and the Victorian State Election show that The Coalition will be in for a very rocky 2019. By all accounts our PM should be feeling the pressure. 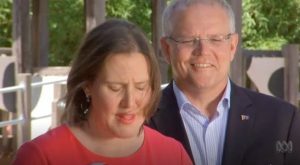 Prime Minister Scott Morrison during Ms Kelly O’Dwyer’s resignation speech looking impressively smug. The views expressed in this article are the author’s own and do not necessarily reflect Lot’s Wife’s editorial stance.